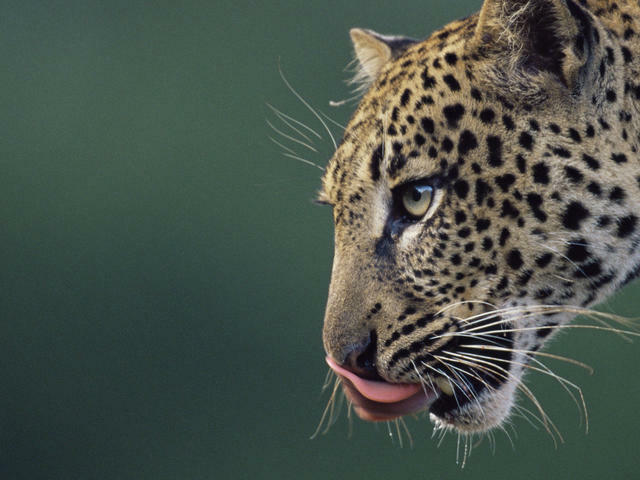 Amur Leopard -- just 70 left in the wild today. We take a green world for granted, yet this deceptively simple question goes to the very heart of how ecosystems work. The world is green, the trio argued, because predators limit the numbers of herbivores, thereby protecting plants and allowing them to flourish. At the time this idea was floated, other ecologists were busy discovering that plants manufacture a potent arsenal of chemical compounds to deter herbivores -- everything from deadly toxins to chemicals that make them hard to digest. Far from being helpless, these other ecologists argued, plants actively defend themselves, and this keeps herbivore numbers down. Under this scenario, predators aren't really needed to keep the world green. Who is right? In theory, it should be simple to find out: just remove the predators from an ecosystem and see what happens. Wolves -- widely persecuted but trying to make a comeback in parts of North America and Europe. But it's one thing to remove little predators such as insects and spiders. Getting rid of big predators, such as wolves, lions, or jaguars, is a far taller task. To perform such an experiment properly, one would need to fence off huge areas, some with predators and prey, some with prey alone, and others with neither. The cost of such an ambitious experiment would be so high that, to this day, nobody has tried it. As a result, ecologists are still arguing about why the world is green. But purely by accident, an unplanned experiment in Venezuela created the right conditions to test the 'Green World' hypothesis. There, a massive expanse of forest flooded by a hydroelectric dam created hundreds of artificial islands. The smallest islands were barely the size of a tennis court; the biggest, at hundreds of hectares, would span a dozen large golf courses. My students, colleagues, and I studied these islands for 14 years. And what we found is enormously exciting -- and scary. The largest islands had enough habitat to support both predators and their prey. But as island size declined, fewer and fewer species of predator remained. Once below 10 hectares in size -- equivalent to about 20 football fields -- the predators vanished entirely. 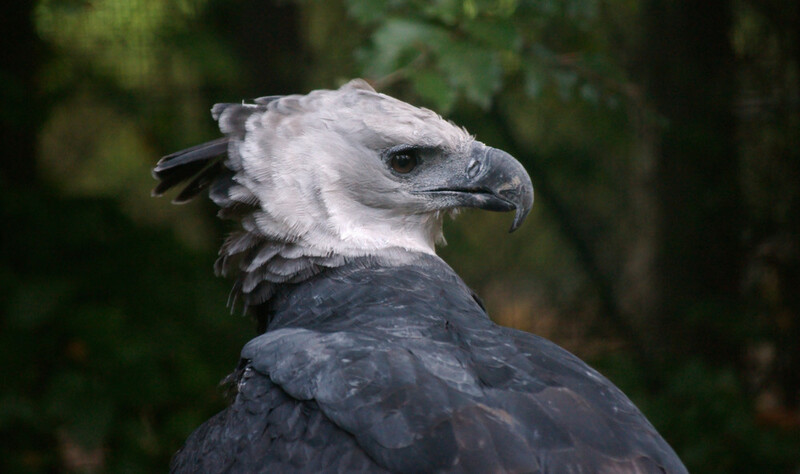 The Harpy -- king of eagles. At this point you have an ecosystem with a few species of herbivores -- particularly howler monkeys, an iguana, a type of tortoise, and leaf-cutter ants -- but nothing to eat them. With little to keep herbivores in check, did these islands stay gloriously green, or collapse ecologically? What we observed was ecological chaos. Herbivores attacked foliage in all parts of the forest. The first plants to be killed were seedlings, cut up and carried away by leaf-cutter ants, while howler monkeys and iguanas defoliated trees and vines in the canopy. Without predators, leaf-cutter ants can decimate a forest. Small saplings were the next to disappear under the herbivore onslaught, followed by larger saplings and woody vines. Finally, after a decade or more, big canopy trees began to die, standing leafless, ghost-like. By the end of our study, the once-verdant forest was a degraded tangle of shrubs and vines -- a pathetic vestige of their original diversity. And while herbivores had won, they ultimately brought about their own self-destruction. In the end, the decimated islands barely sustained any life at all. The trio of ecologists -- the architects of the 'Green World' hypothesis -- were right. We need predators to keep our planet verdant and healthy, and to maintain biodiversity. The 'alternative state' of a predator-free island is alarming. Equally worrisome is that we can get there in a variety of ways. Killing off predators is one way -- and we humans are very good at doing that. Another way is flooding an ecosystem with nutrients, a process called "eutrophication". This can happen, for example, if we carelessly use farming fertilizers, which then leach into waterways and other ecosystems. Biodiversity depends on a balance, and tip that balance too far one way and nutrient-loving species dominate while excluding many other species. Depressing 'alternative states' can arise for other reasons too, such as disrupting natural fire regimes or introducing exotic species that fundamentally change ecosystems. But for me, the widespread decimation of predators is the most worrisome way that we are disrupting the natural world. For that reason, I strongly support efforts to 're-wild' ecosystems -- to reintroduce big carnivores such as wolves, grizzy bears, and tigers to regions where they once held sway. 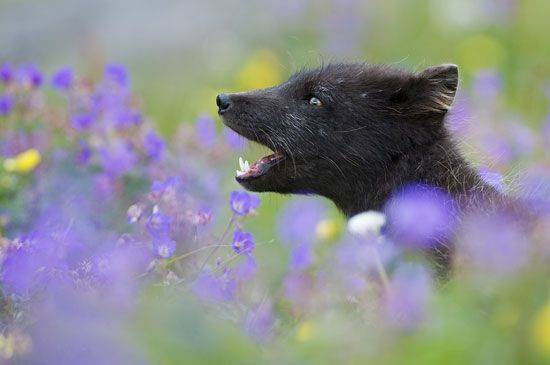 Arctic fox in the summer. Rewilding sizable parts of the world will not be easy. There are many who will object -- out of fear or ignorance or potential risks to their livelihoods. But the world needs predators. I have been studying nature for a long time, and one thing I have learned is that biodiversity utterly depends on them. Bringing the science we need to maturity and explaining it to policymakers and the public is a vital goal for our next generation of conservationists. Being the 'king of the jungle' is not as fun as it sounds. An international research team has just published a paper in Science showing that most of the 31 largest mammal predators on Earth are in dire straits. Tigers in trouble (photo by Priya Davidar). These mega-predators, which include tigers, polar bears, wolves and sea otters, among others, are being decimated by habitat loss and human persecution. Only a quarter of the species, such as the American black bear and puma (mountain lion), are showing some signs of population stability. Most predators are in precarious shape. The tiger, for instance, is clinging to survival in just 7% of its original geographic range and just 5% of its original numbers. The authors go beyond describing the ongoing decline of big predators; they also highlight the varied ecological consequences. Large predators can play a dominating role in ecosystems, having profound impacts on many other species and ecosystem processes. One of the coauthors of the study, Euan Richie of Deakin University in Australia, has written a lively summary of its key conclusions and implications. Clearly, one of the greatest challenges humankind faces is maintaining living space for species that need large expanses of habitat to survive.